I originally decided to brew a blackberry stout because I like blackberries and I like dark beers so I figured putting them together would be delicious. I had read about a blackberry stout somewhere and it stuck with me in my head. I found two recipes on the internet that looked pretty good and I combined them to make one recipe. One of them was a full grain mash, where you extract all the malt from the grains yourself. The other one was simple but didn’t include enough of the flair I was looking for in this beer. So I combined the two to make a partial mash blackberry stout. There are three different options when considering a homebrew: the full grain, where you use a large quantity of grains to get your malts exactly how you want them. It is a little more difficult because you must regulate temperatures and brew times exactly right otherwise you end up with something you are not looking for. However, if you do know how to do it correctly you can actually greatly improve the quality of the brew. 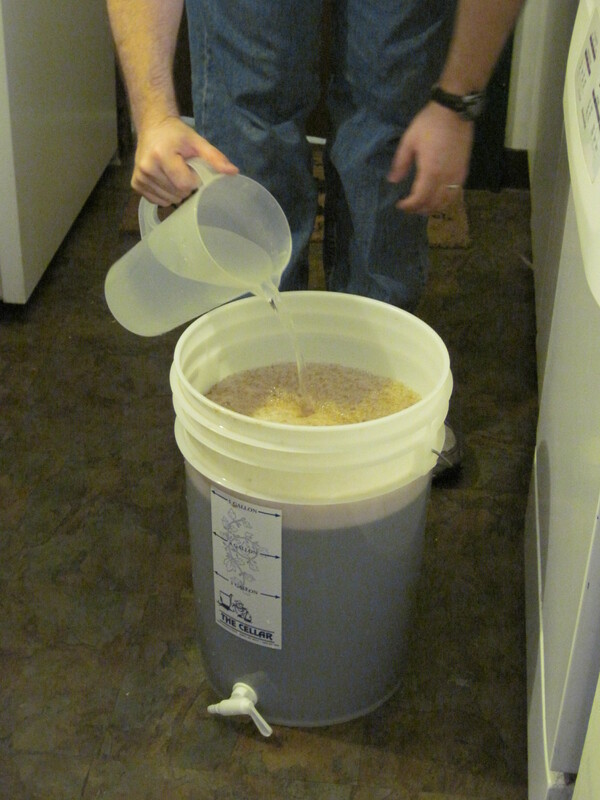 The other type is a full malt extract brew. In this type you don’t actually use any wheat just use malt extract.Typically this what you get in the little brewing starter kits that you can buy. These don’t actually give you any grains to make a mash. The third way is the way I have brewed. Its kind of in the middle, where you use a base of a specific type of malt extract and then flavor with your own specific malt profile. This consists of picking the flavor grains and boiling them to pull the malt out, for the specific flavors you are looking for. With that you can add other things and be creative without going through the complication of creating your own base malt. This was our second brew, so almost everything was unique. Our first brew was based around simplicity so we could get the idea of brewing. It was basic with few ingredients and minimal ways to mess it up. This second brew was a big step up in complexity. 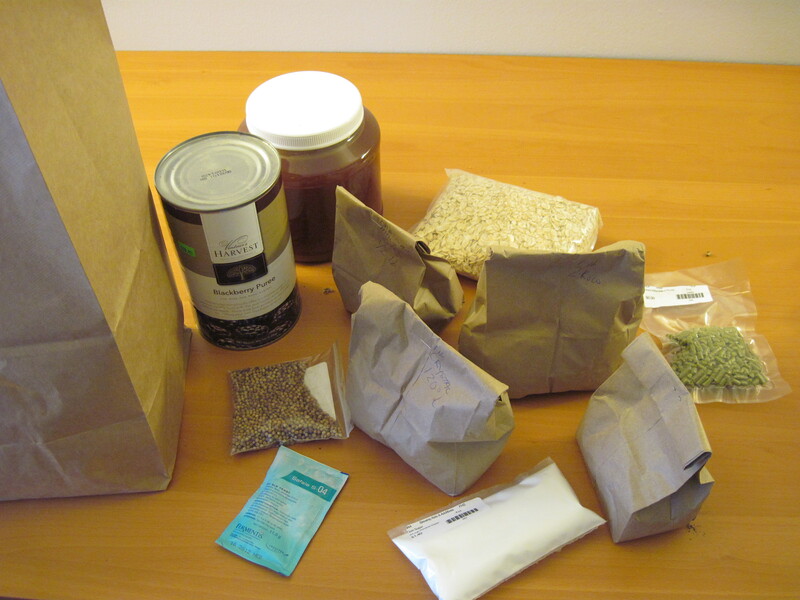 It included many different additives, many different types of grains, in addition to having to add items after the fermentation has begun. This is a big deal because once fermentation has begun it’s a good time for contaminates to get in. When deciding on where to get our blackberries originally we wanted to use frozen blackberries but then switched to a canned blackberry puree, as recommended by the staff at The Cellar. It worked out pretty well. It is less likely to be contaminated because it has already been processed. You don’t want to boil the blackberries because you will break down its proteins. I think that the blackberry puree is put through a process that decontaminates it but doesn’t break it down too much. The puree is a liquid with less seeds and large pieces. The one thing I didn’t like is that it comes in a three pound can and you have to use it two separate times with a day in between. It was a little nerve-wracking letting it sit without a lid on it. And that is a reason why there is a contamination possibility. When you let it sit it has more of a chance to be contaminated. It is important to use the right kind of yeast. We used Wyeast S04 an English Ale yeast. A well-known, commercial English ale yeast, selected for its fast fermentation character and its ability to form a very compact sediment at the end of the fermentation, helping to improve beer clarity. 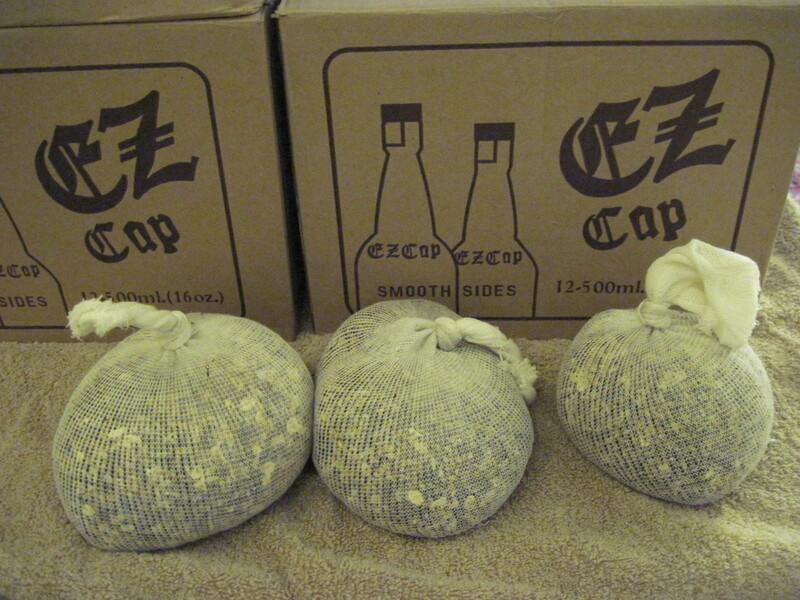 This yeast is recommended for the production of a large range of ale beers where big flavor is desired. A large portion of the flavor of any modern beer is provided by hops. 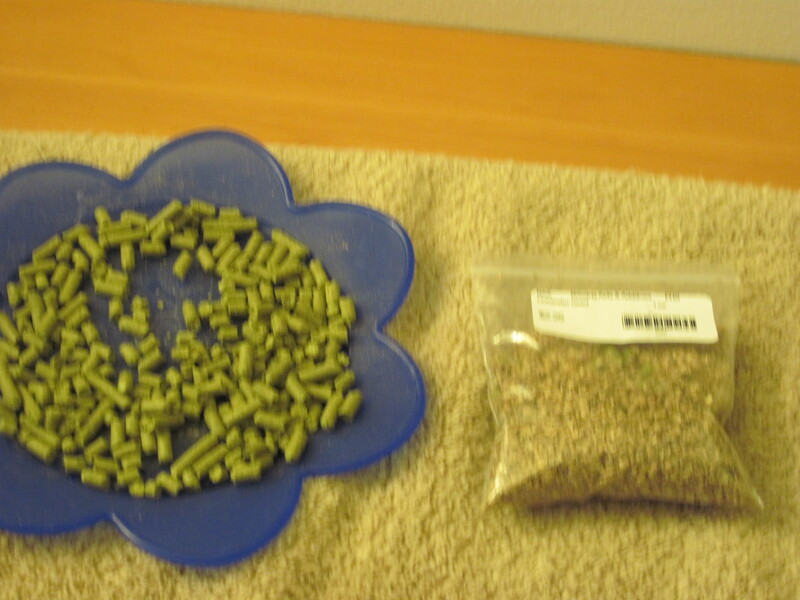 Dependent on when the hops is added during the brewing process the hops will lend different properties to the brew. For the blackberry stout we only used boiling hops. This means the beer will have only a slight bitter hoppy taste. This was OK though because we added a few extra flavoring agents; coriander and blackberry. 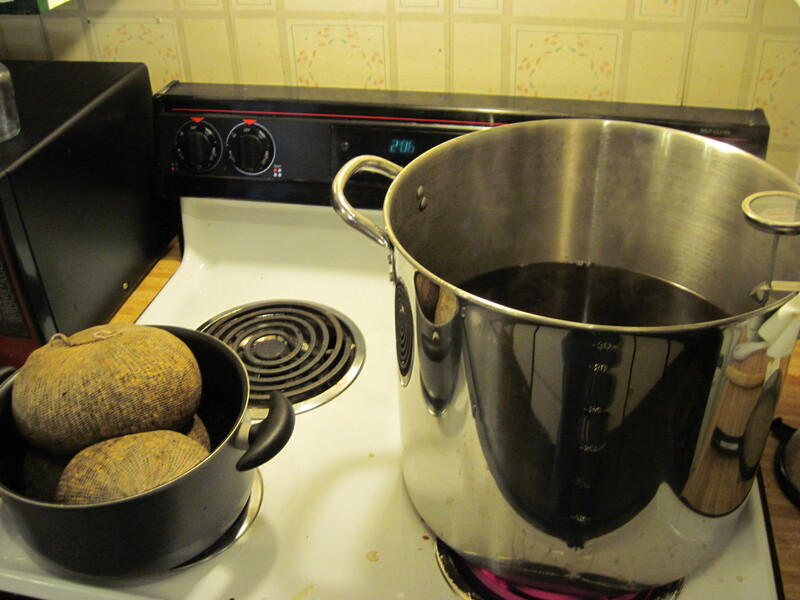 The blackberry was interesting because we had to add it at the end of the boil and then the other portion had to be added after the brew had already begun fermenting. Any time you open the fermenter while it is fermenting there is a good chance of contamination so we were extremely careful. Fortunately for us, yeast are strong little critters and they don’t take kindly to other little buggers encroaching on their territory. This time we got to use our newly purchased boiling thermometer. It helped a lot because we were able to work with specific temperatures to get our mash correct. Before while making the ale we had to eyeball it to maintain the temperature just below boiling and then tried to hold it there. It wasn’t a very specific temperature range. For all we know the ale actually tasted completely different then it was suppose to, because the way the proteins interface at that temperature range was not exactly as intended. So now that we have a thermometer we are able to keep it in a finite temperature range. This allows us to follow the recipe correctly and produce the proteins that are required. Another consideration we were making at this point was to use bottled or tap water for our brewing. But after trying it both ways and playing around with it we found that it really doesn’t make a difference for flavor, especially since most bottled water comes from a tap anyway. There was another consideration that perhaps we could have the beer contaminated by using tap water. I suppose this could be a slightly greater risk then using bottled water. In the end , we decided that it just wasn’t worth the extra effort and have been using exclusively tap water since. When we switched the beer from the primary to the secondary, it was so green (this means fresh and inmature in brewing parlance) we couldn’t tell if had gone bad. It had a strong wine-like taste to it. We actually suspected that it had gone bad. I reasoned out that the flavors didn’t have a chance to mellow so there was a really strong burnt grain taste overlaid with a hop taste overlaid with “I just got done fermenting blackberry” taste and all of those three together was a sour-bitter-rancid taste, that wasn’t very good. The final beer did the same thing but because it mellowed the horrible flavors turned into delicious flavors. It would hit with you with one flavor then another and then finally mellow out with the after flavor. 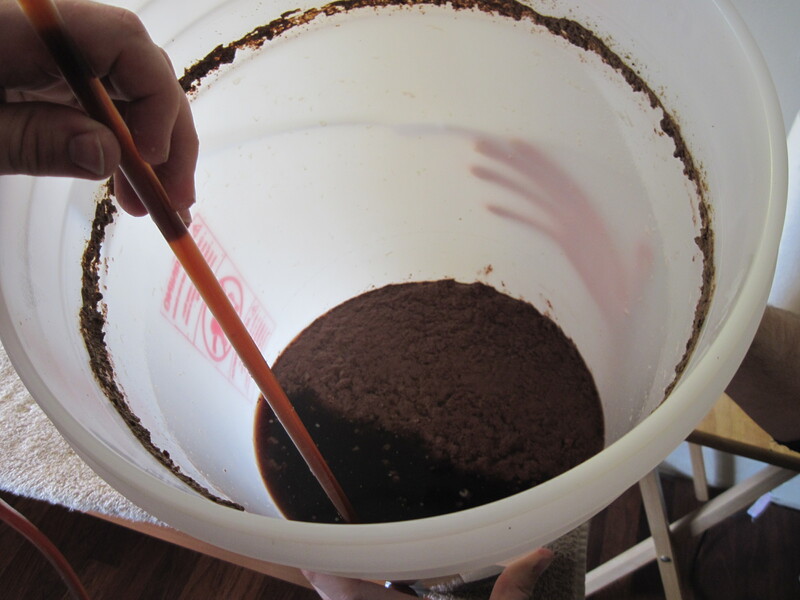 The stout ended up a lot darker then we are use to, mostly because of the dark grains that we used. The darker the grains are roasted longer. It is actually just like coffee. In addition this brew had a lot larger quantity of specialty grains after the base malt, lending it a slightly higher malt content. Then you throw blackberries in and it gets darker. This one ended up really dark. And it was really good! To me the final product had a spicy, coffee flavor from the roasted wheat; the flavor was smooth and varied. It was fruity and a little wine sour because of the blackberry. It was also very full bodied. We will be brewing blackberry stout again soon. I can’t wait. 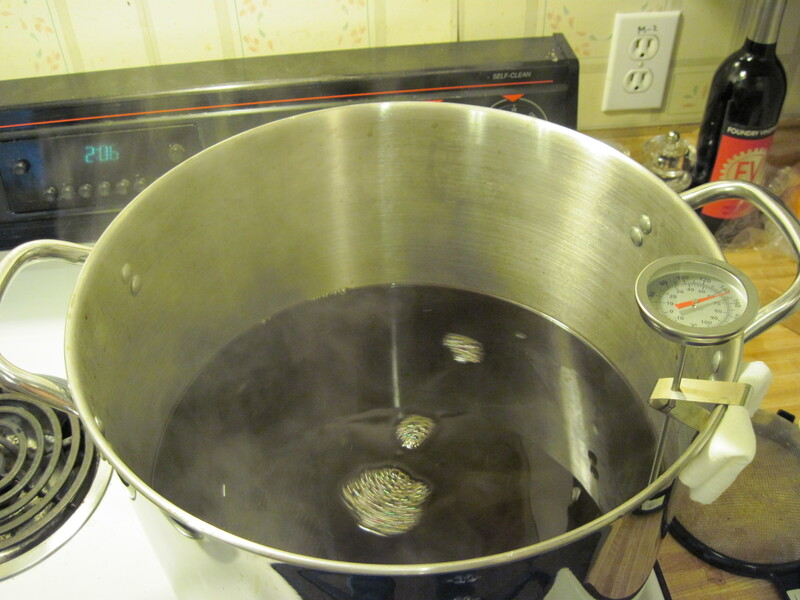 Posted in BrewingTagged alcohol, beer, blackberries, blackberry, blackberry stout, from scratch, fruit, grain mash, home brewingBookmark the permalink. Your blackberry beer sounds great son-in-law! Brewing beer sounds much more complicated than I thought. Adding the berries sounds like a good idea. Is the malt a liquid or solid? We use 6 Lbs of liquid malt extract. In addition we produce our own malt from grains during the boil. Very nice, I like stouts and porters and as you do also – Love blackberries – I grow them, I make jams and jellies. I am looking forward to follow-ups on how the brew turns out.